Wool is naturally tough because it has developed over thousands of years to protect sheep from all sorts of climatic and environmental conditions. Wool is so strong it is even used to make tennis balls and the filling in professional baseballs. Wool can be bent and twisted over 20,000 times without breaking or losing its shape and springiness. 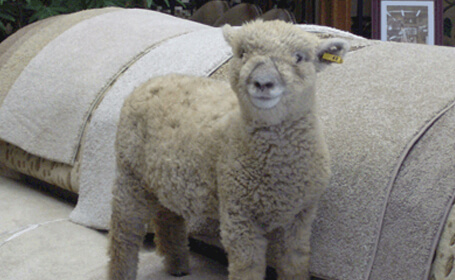 This means a wool carpet will retain its good looks and natural benefits, even under the most trying conditions. 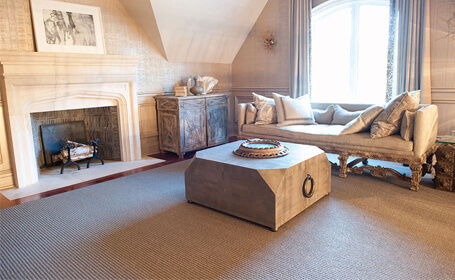 Wool is non-allergenic and its natural properties provide inherent fire resistance, air purification and moisture control, creating an exceptionally safe and healthy indoor environment. 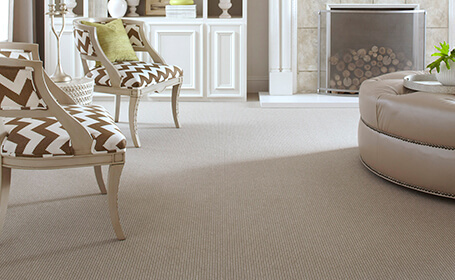 Wool carpet will maintain its performance and appearance with regular vacuuming and periodic professional cleaning. As dirt particles make their way into your carpet, they are caught by microscopic ridges that protect the outside of the wool. This natural attribute contributes to wool’s long-lasting good looks by keeping the dirt particles high on the pile where they can be easily removed by vacuuming. 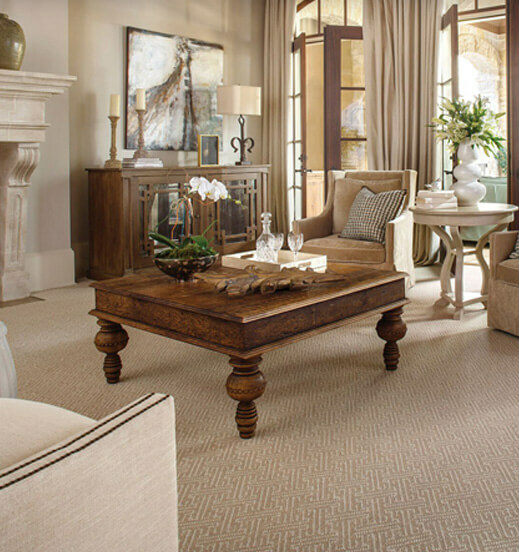 The best way to provide long-term maintenance for your wool carpet is with periodic professional cleaning. During professional cleaning, the wool absorbs water vapor which causes it to swell and shrug off dirt particles which are then more easily picked up during the cleaning process. Professional shampoos can also break up and remove oily deposits. 88% of spills in the home are water-based. Wool is water-repellent due to a fine natural protective layer. When liquid is spilled on your wool carpet, it will form beads on the surface, allowing time for you to blot them up before they can be absorbed and cause a stain. Wool is naturally soil resistant because of its protective outer layer which traps dirt in the upper area of the carpet pile so that it can be easily removed by vacuuming. 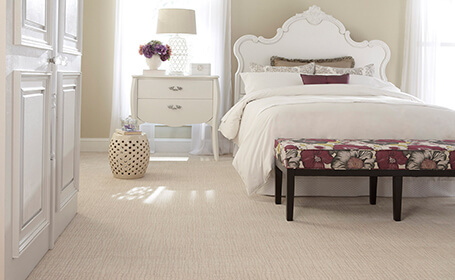 Wool also hides soil particles away from view, so your carpet will look cleaner for longer. Your wool carpet will maintain its performance and appearance with regular vacuuming and periodic professional cleaning. As dirt particles make their way in to your carpet, they are caught by the microscopic ridges that protect the outside of the wool. These ridges keep the dirt particles high on the pile where they can be easily removed by vacuuming. This natural attribute prevents dirt from becoming embedded in the carpet and contributes to wool’s long-lasting good looks.